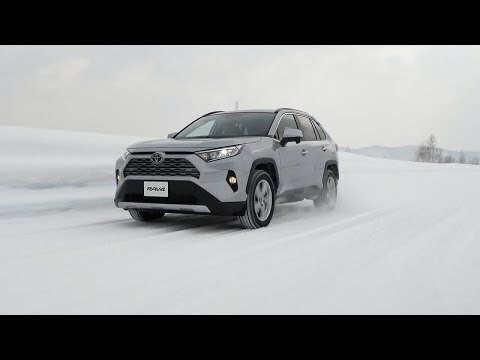 Toyota City, Japan, April 10, 2019―Toyota announces the launch of its completely redesigned RAV4 in Japan and the start of sales at all nationwide Toyota "Corolla" and "Netz" dealers, and Toyota Mobility Tokyo, Inc. The first-generation RAV4*4 debuted in 1994, when body-on-frame four-wheel drive vehicles were positioned as off-road vehicles. 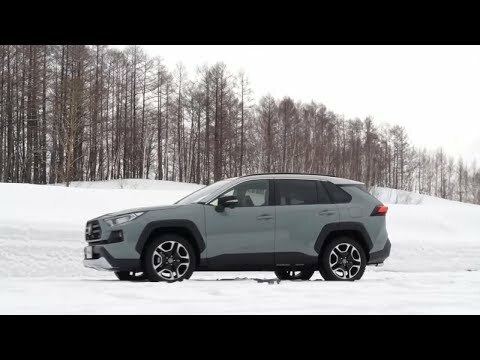 The RAV4 would go on to play a pivotal role in the development of a new market for the passenger-friendly sport utility vehicle (SUV/crossover SUV). New models continue to be launched in the ever-expanding crossover SUV market. Comparison in mid-size SUV class. As of April 2019 according to Toyota Motor Corporation. World's first adoption of a disconnect mechanism that uses a ratchet-type dog clutch on both the front and rear wheel shafts for disconnection. As of April 2019 according to Toyota Motor Corporation. Equipped in G "Z package" and Adventure. RAV4 stands for Recreational Active Vehicle 4 wheel drive. The RAV4 combines stylish design and drive comfort to evoke the joy of driving in both off-road and urban settings. Toyota "Corolla" and "Netz" dealers across Japan, and Toyota Mobility Tokyo, Inc.
Includes consumption tax and does not include recycling fees. Separate pricing applies for Hokkaido and Okinawa. Guided by the design concept of Adventure and Refined, the exterior seamlessly blends an active and robust design exhibiting elements of waku-doki (Japanese for 'heart-pumping excitement') with elegant sophistication suitable for an urban setting. Large-diameter tires*6 lend a powerful stance for off-road performance, producing the SUV's signature "lifted-up" look. Two octagons intersect at a 90-degree angle to create a "cross-octagon" structure, and widespread use of polygons on the exterior produce a distinctive look, accentuating a tough, stable presence. Adventure grade vehicles sport a dedicated front grill and front skid plate, lending a powerful carriage and forward-leaning body. The front bumper and front fog lamp bezel further enhance the "lifted-up look" of the body. The exclusively designed 19-inch aluminum wheels and large wheel arch molding emphasize exceptional drive stability, putting prominence into the new RAV4's off-road image. Available in eight colors including Urban Khaki, which was newly developed exclusively for the Adventure grade. Four two-tonal color options are available for pairing with the newly developed Ash Gray Metallic roof. Clear forward visibility is secured by the positioning of the lower instrument panel and windshield wipers that are hidden from view within the cabin, imparting a feeling of spaciousness. Optimally placed side-view mirrors and quarter windows enable excellent forward visibility. Side-rear visibility is also improved with the enlarged rear-quarter glass and smaller pillars at the back of the rear doors. Class-leading*7 580-liter*8 cargo capacity is attained even when the rear seats are in use. A reclining rear seat with a 60/40 split and cargo-area deck offering two height levels create a space that can flexibly accommodate a variety of shapes and sizes. Flipping the resin two-height level deck over reveals a plastic surface, ideal for carrying wet or dirty objects. Foot-activated power liftgate*9 allows opening and closing of the rear hatch when the smart key is detected. The cabin features open trays for ease of use on both the driver seat side and passenger seat side of the instrument panel as well as on the center console to hold small items. Four additional USB charging points (two inside the console box and two in the rear) come standard in all models for added convenience. The concept of Confident and Natural gives way to a driver-focused feel and ride comfort. Exceptional vehicle stability (confidence) permits handling on uneven road surfaces and in challenging conditions such as cross-winds, while natural and accurate handling enables responsive steering to produce a confident and natural driving experience. Control of driving power, four-wheel-drive, braking, and steering is integrated. The driver-selectable multi-terrain select, trail mode, and driving mode realize optimal driving performance for any road condition and driving situation. The RAV4 achieves outstandingly stable steering, driving performance, and comfort. A TNGA concept-based 2.0-liter Dynamic Force Inline 4-cylinder direct-injection engine mated to a Direct Shift-CVT continuously variable transmission realizes powerful, smooth driving, as well as excellent fuel efficiency. 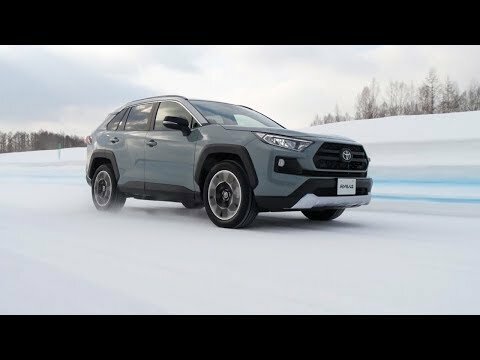 The new RAV4 realizes world-first*10 adoption*11 of a newly developed four-wheel drive system, Dynamic Torque Vectoring AWD. A torque vectoring mechanism independently distributes torque to the left and right rear wheels according to driving conditions in addition to the front and rear wheels. A disconnect mechanism transmits driving force to rear wheels when 4WD driving is deemed unnecessary, significantly reducing energy loss and improving fuel efficiency. 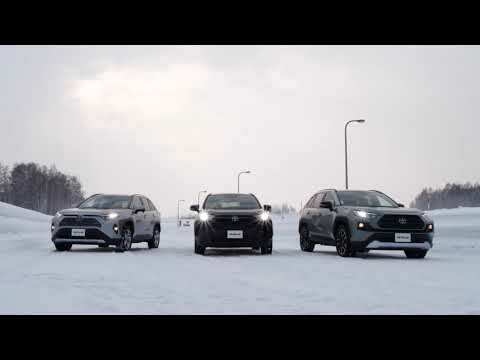 As hybrid vehicles that employ a 4WD system, RAV4 hybrid models leverage a new E-Four that inherits cutting-edge hybrid technology. In concert with increased maximum torque of the rear wheels, a new control system allows torque distribution to the front and rear wheels to be changed from between 100:0 to 20:80. Optimized control of torque distribution to the front and rear wheels during cornering enhances steering stability. An increase in rear-wheel torque contributes to a sense of safety when starting the car on inclines in snow or rain. A pre-collision safety system to detect preceding vehicles or pedestrians (day and night) and bikes (day) to support collision prevention and mitigate damage. Dynamic Radar Cruise Control with full-speed range that supports driving behind the car in front. Road Sign Assist (RSA) that displays road signs recognized by the camera on the display so that drivers do not miss road signs, contributing to safe driving. Preceding vehicle departure notification as a supplementary function that alerts the driver if the driver is not detected to have responded to the preceding vehicle starting to move. 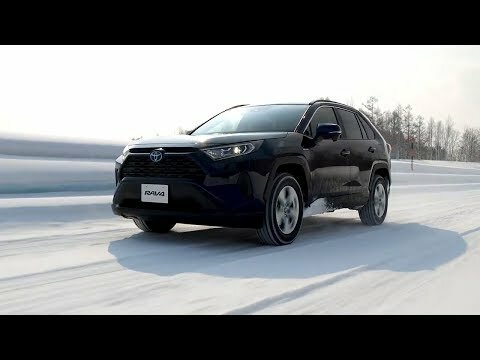 The new RAV4 is equipped with Intelligent Clearance Sonar*13 to detect walls and other vehicles during low-speed driving, Rear Cross Traffic Auto Brake*13 to detect approaching vehicles in the rear when reversing to reduce or mitigate damage from collisions, and a Parking Support Brake to assist with safety in parking lots. An operator service*15 allows owners to connect to dedicated operators 24 hours a day, seven days a week, and request help with setting navigation system destinations and information searches by verbally notifying the operators of conditions and preferences. With Help Net, the press of the Help Net button in the event of an accident or sudden illness connects the driver to a dedicated operator, and emergency vehicles can be arranged immediately based on vehicle location information. If deployment of the air bags is detected, the system automatically connects to an operator. Compatibility with D-Call Net®*16 also allows for prompt dispatch of emergency services including medical helicopters. 19-inch for G "Z package" and Adventure, 18-inch for G and HYBRID G, and 17-inch for X and HYBRID X are standard. Comparison in the mid-size SUV class. As of April 2019 according to Toyota Motor Corporation. Internal measurement value using VDA method when lower-level deck board is set; 542 liters when the upper-level deck board is set. Standard in G "Z package". Option in Adventure and HYBRID G.
Standard in G "Z package," G, and HYBRID G. Option in other grades. Service tailored to each driver to improve each driver's life with their car by connecting to Toyota Smart Center. Dealer option T-Connect navigation system is required. Registered trademark of Emergency Medical Network of Helicopter and Hospital (HEM-Net), a certified nonprofit organization. For details, see http://www.hemnet.jp/english/index.html.